The first in Mark Warren’s Wyatt Earp trilogy, Adobe Moon opens with a young Wyatt determined to strike out on his own, yet restrained by familial duty. Once his farming days are blessedly over, he goes through various professions, learning hard lessons along the way. The timeline in this novel covers 11 years and treks a wide swath of mid-to-western America, from Iowa to California. Wyatt clearly makes a lot of mistakes, but he learns from them and it’s apparent early on that he has a steadfast, calming nature and garners respect wherever he goes. He is a satisfyingly flawed character, and although his life seems unsettled with continual uprooting, he has ambition and a certain honorable manner that endear him to the reader. His troubled relationship with his father affects his choices, and this issue is explored throughout the story. 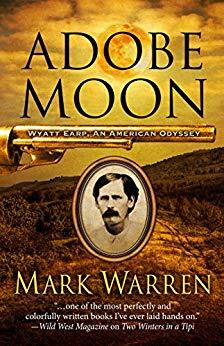 The details of life during this time–wagon trains, the dangers of Indian territory, the building of railroads, and the hardscrabble nature of living on the American frontier–truly flesh the story and satiate readers looking for more than just a fictional biography. 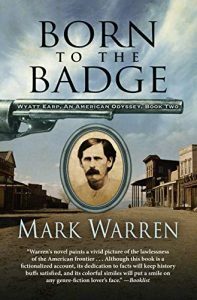 Those looking for a sweeping tale of the revered legend will greatly enjoy this introduction to Wyatt Earp’s early years. 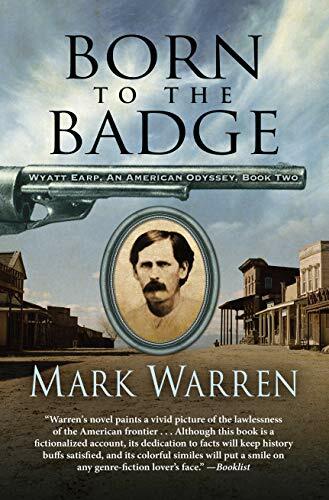 The next book in the series, Born to the Badge, is out November 21, 2018. Thanks for sharing! 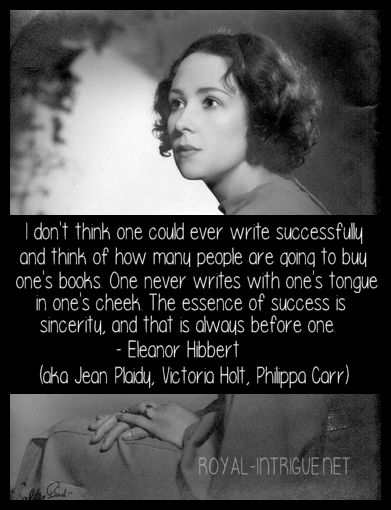 I would’ve glanced past this at a library or store but it does sound pretty good!